Tai Chi is an ancient Chinese practice that complements the principles of traditional Chinese medicine. Chinese martial arts such as karate and kung fu are examples of hard martial arts whereas tai chi is a soft martial art. The benefits of Tai Chi are of particular significance in today's world of stress. Tai Chi Chuan aims at muscular relaxation through slow and repetitive movements. The slow and continuous movements that are characteristic of Tai chi allow a practitioner to stimulate the flow of energy within the body and see health benefits such as relaxation and relief from stress. The 1980s saw increasing awareness and popularity of Tai Chi in the West. Many are taking to learning tai chi to benefit from its holistic effects on overall well being. Tai chi works on the underlying principle of softness defeating hardness. The intrinsic strength of the bones, ligaments and muscles is developed by relaxing them and removing all tension. Relaxation is a vital principle of Tai chi. Skillful execution of technique is the cornerstone of Tai chi forms rather than brute force. Muscular tension is released and the internal circulation is improved. Only when the body is relaxed and calm will it be in a position to focus on meditation and assimilate the optimum health benefits of Tai Chi. Tai chi works on the principle of chi- a form of energy that flows throughout the body. When smooth flow of this chi is blocked, it manifests as illness. The Chinese believe that tai chi can be instrumental in freeing this blocked chi and alleviating ailments and increasing a sense of well being. The symbol of tai chi is the classic symbol signifying ying and yang - opposites that are necessary to create a natural balance. A tai chi lesson trains a practitioner in different forms, which involves maintaining body weight on one leg as opposed to 'double weightedness'. The movements of a cat are mimicked when moving from one leg to another. Leg strength and balance is acquired over time. Correct body structure in tai chi involves straight spine, relaxed joints and rooting or lowering the center of gravity with bent knees. This helps in improving balance and stability. Improper joint alignment can lead to injury. The overall effect should be as if the crown of the head is suspended by a thread. A correctly rooted body that is structured right can exude considerable balance and power. Movements are smooth and continuous with the extremities moving along with the body as a unified entity. The waist movements must cause other movements in the body. This should bring about harmony between the upper and lower parts of the body. The entire body must move as a single unit. Relaxed eyes are also an essential feature of practicing Tai chi. It not only aids the body to relax but also improves peripheral vision. The right breathing technique is crucial in the practice of Tai chi. Slow breathing should be coordinated with the movements. This will lead to improved stamina and blood flow and enhance the capacity of the lungs. The practice of Tai chi chuan can be traced to Taoism. Today its popularity lies in its benefits to general health as well as a medium of self defense. Tai chi chuan can be practiced in a small area, indoors or outdoors. Deep breathing and slow movements of Tai Chi chuan increase blood circulation and thereby expand the blood vessels serving the heart and intestines. This in turn prevents ailments of these organs. You can prevent constipation and improve digestion. There are 3 weapons that are used in Tai chi chuan - the knife or broadsword, the straight sword and the spear. The Tai chi sword is small and lightweight but can be deadly. Tai chi chuan offers the use of these different swords and weapons. You can learn Tai chi either by attending a regular class or with video lessons. Before you embark on learning Tai Chi, find out if the class is suited for your interests - health benefits, self defense or spiritual growth and meditation. It is advisable to warm up the muscles before embarking on Tai chi lesson. Similarly, about 10 minutes of cooling down exercises and gentle stretching after a session of tai chi is recommended. Learning tai chi can help elderly people in relieving them of sleep disorders and boosting immunity to shingles. Noticeable improvement in the immune system of older adults has been observed after tai chi lessons. The history of Tai chi can be traced to nearly 3000 years from the time of Yi Jing (The Book of Changes). The natural fighting behavior of the crane and snake are believed to form the basis for most Tai chi movements; though there are different styles that are characteristic of various schools of Tai chi. The 'Chen' form of tai chi is considered the original form - it has been in practice in the Chinese Shaolin Temple since the fifteenth century. 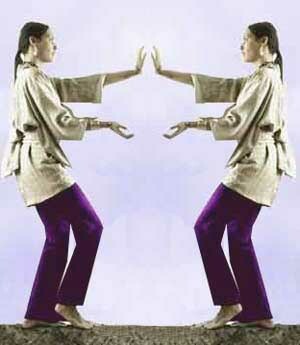 Other Tai chi styles were derivatives of the Chen style. The Chen style is a combination of soft and explosive power techniques. The Yang style of Tai chi is characterized by smooth and even -flowing tempo. The Wu style is derived from the earlier forms. Tai chi as a form of exercise is gaining in popularity among persons of all age groups. Ensure that the Tai chi instructor is adequately experienced and trained. A typical low-impact tai chi lesson for an hour expends on an average 260 calories. Tai chi exercise benefits all bodily parts not merely the musculoskeletal system like most exercise forms do. Tai chi exercise goes a long way in lowering blood pressure and toning the muscles sans strain. The gentle rhythmic movements of tai chi massage the internal organs. Tai chi exercise improves strength and flexibility and improves circulation thereby reducing joint pain. It has been demonstrated as good therapy for arthritis. Tai chi uniform must be comfortable so that it does not fit close to the body. A loose-fitting and comfortable t-shirt and shorts or lightweight pants would do. A typical tai chi uniform has a coat with long sleeves, frog buttons and mandarin collar. The trousers have an elastic leg and waist. Cotton blends or any other breathable fabric is best. First Published Date: 28 Mar 2006 Last modified Date: April 18 2019 This page may have been updated recently as new information is available or the content may have been edited for better readability.